Liver disease is a major medical issue, affecting many in the prime of life. 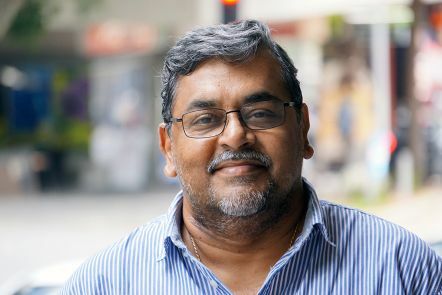 IHBI Professor Nathan Subramaniam is collaborating with clinicians and researchers from the US, Canada and around Australia to understand the causes, biological mechanisms and possible therapeutic solutions. IHBI Executive Director Professor Lyn Griffiths is a molecular geneticist, leading Genomics Research Centre research into common complex disorders, including migraine, cardiovascular disease and several types of cancer. Our research in this area is conducted by the Genomics Research Centre, located within the Institute of Health and Biomedical Innovation. has a number of established and long-standing collaborating clinicians. Researchers investigate the genetic and environmental factors involved in common chronic human disorders, with a focus on the understanding of complex genetic pathways of common disorders including migraine, cardiovascular disease (CVD), neurodegenerative disease, multiple sclerosis, and a number of cancers including lymphoma, skin and breast cancer. In addition, the GRC also has cell culture facilities to examine the neural lineage fate of human mesenchymal and neural stem cells as well as studies on non-Hodgkin's lymphoma. Our goal is to identify genes that play a causative role in these disorders in order to develop improved diagnostics, models of repair and therapeutic strategies. utilisation of human cell culture models for improved models of diagnostic screening and repair. Phase I and Phase II clinical trials investigating a new preventative treatment for severe migraine have been conducted at the Genomics Research Centre. These clinical trials have investigated the efficacy of a treatment directed towards a migraine implicated gene, with results showing a significant effect on migraine frequency, severity and pain levels. A further Phase III clinical trial is currently being finalised which is investigating the dose regime in relation to migraine genotype. As a result it is expected that a nutraceutical product will be available in Australia in 2015. The Genomics Research Centre has established the Genomics Clinical Trials Facility on the Gold Coast, a QUT distributed site. This facility is currently conducting a clinical trial investigating the efficacy of a drug in delaying the first symptoms of cognitive impairment due to Alzheimer's Disease. This five-year study involves 55 sites worldwide, with three in Australia including the Genomics Research Centre site at the Gold Coast. The Genomics Research Centre undertakes diagnostic testing for severe migraine and related neurogenetic disorders - one of the only laboratories nationally, and one of only a few internationally, to provide this service. 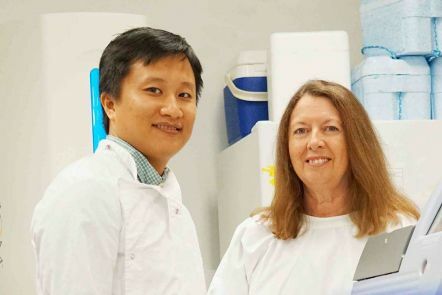 In 2013 improvements in the testing protocol resulted in a NATA accredited next-generation sequencing (NGS) diagnostic service - the first one in Australia. Outcomes from previous research have been patented, with two being licensed to industry for commercialisation. A licensing agreement is currently being negotiated for the commercialisation of migraine nutraceutical product.